This will be an unforgettable workshop filled with positive memoirs of self-discovery! We will be exploring ways to discover the hidden potential that remains dormant, or untapped within all of us. Learn how to release fears, inhibitions, limitations, and obstacles that prevent you from realizing, or accomplishing a dream. Revitalize your spirit and reconnect with the divine spark of infinite beauty. Reconnect with a higher sense of self, spirit, and the universe to unfold a happier, healthier, and free existence! There will be energy building exercises and group meditation to create sacred space before walking the fire. 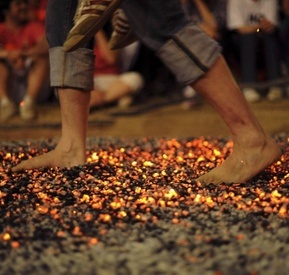 Fire Dance and walking on broken glass are two of the activities that take place during this event. Fire Dance will connect us to element of fire. Walking on broken glass represents paying attention and mindfulness while changing perception. There will be a group meditation where we set intentions for healing, releasing resistance or asking for transformation for any area of life where a shift is desired. Awaken the shaman within by working with group energy and bringing the focus to a heart cantered consciousness! 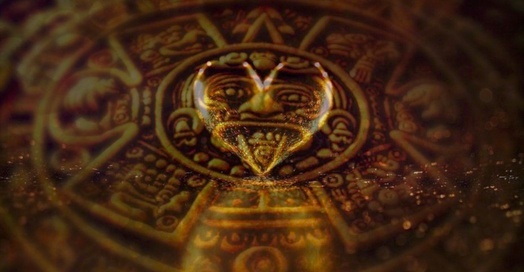 Aligning with the heart centre allows for one to access the shaman within or higher self. We focus on merging the subconscious and conscious mind to work together in harmony instead of opposition. Learning to trust the self and instincts will open up a path to a balanced harmonious way of life. Playful and powerful encounter with spirit in a sacred space. Cacao is a sacred plant medicine that is celebrated as the food of the gods and used in Shamanic ceremonies by the natives of Central and South America for thousands of years. It contains a so-called ‘bliss’ chemical: anandamide, which works with our heart's ability to expand, supports emotional clearing and deepens our connection with self and with life. It is believed that the spirit of cacao has the power to reveal and unlock the secrets of the soul, bringing forth our ultimate truth in a loving way that is immediate and lasting. Dance is based on the ever-popular Map made by Gabrielle Roth. In both forms there is a facilitator guiding the dancers on a journey, dancers enter the dance floor with a sense of intention. Specific intentions may include working through personal issues, entering a state of meditation or expressing the self authentically and creatively. A conscious dancer is frequently in pursuit of a deeper awareness of one's self and others on the dance floor.